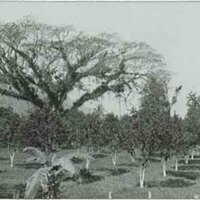 Orange trees in a citrus orchard. 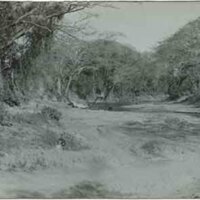 A section of the Rio Cobre river course in St. Catherine, Jamaica. 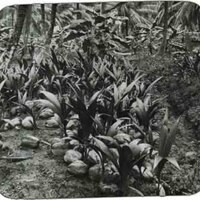 A grove of coconut, banana and palm trees.